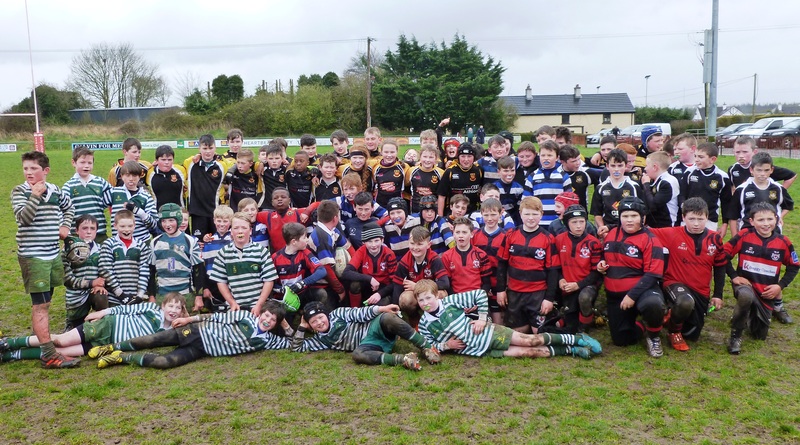 Tullamore Rugby Club hosted their 3rd annual under 12 blitz featuring 28 teams from 18 clubs. 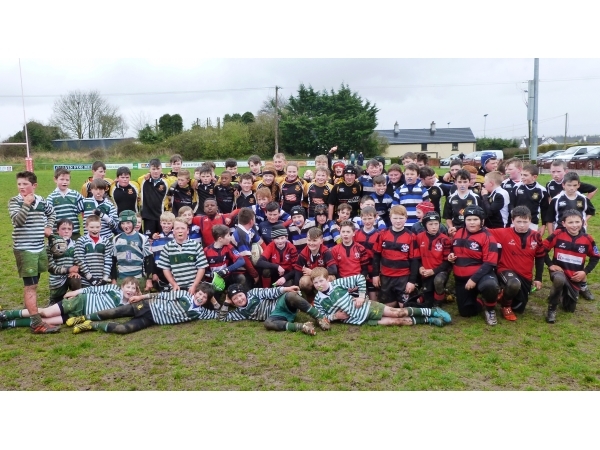 Aproxiamatley 450 players travelled from all over Ireland to participate in this festival of rugby creating a very interprovincial atmospere. Each team played five shortened games against teams that they wouldn’t normally compete against. The pitch coordinators ensured all 80 games ran smoothly and on time from start to finish. There was a fantastic array of skills on display and no shortage of determination shown by all the players throughout the blitz. Thanks to all the under 12 parents who contributed to the day including providing a goodie box of buns, cakes and sandwiches for all the tired and hungry players afterwards. Thanks are also extended to all others club members who helped out on the day, ensuring it was another successful event. Thanks also to the Healions for the use of their field adjacent to club which was invaluable to the mini rugby players during the season. Our appreciation is extended to our sporting neighbours The Harriers for the use of their extensive parking facilities. 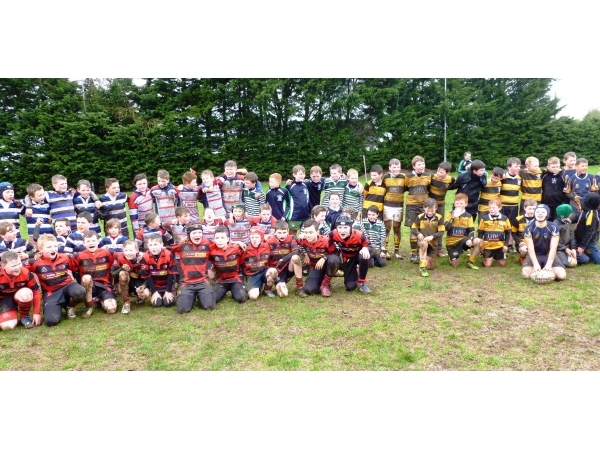 On Saturday 9th April the under 7, 8, 9 and 10 boys teams play Barnhall in Tullamore. 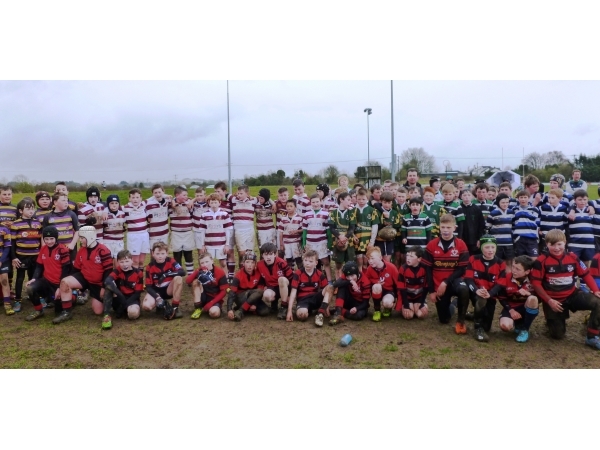 While the under 10 girls and under 11 boys teams travel to Mullingar to play in the Leinster blitzes.